Take a Look Back #55- Pompom sensory bin, turkey sight word center, fall loose parts and more! October 12, 2018 October 10, 2018 Amanda B. Here is a quick look back at some of our centers from this past week! Turkey Sight Words This sight word turkey literacy center was perfect for practicing writing and reading sight words. Our students loved picking out the different pieces to complete the turkey, then writing down the sight words they used! Pompom Sensory… Continue reading Take a Look Back #55- Pompom sensory bin, turkey sight word center, fall loose parts and more! 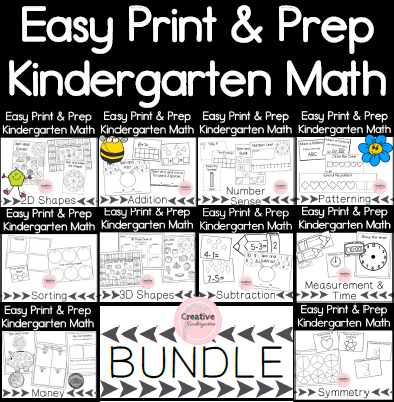 Teaching Time in Kindergarten with a Poster Freebie! July 24, 2018 July 6, 2018 Amanda B. Teaching time to kindergarten students is a tough one. They do not quite understand what time is yet, and they are just starting to note the passage of time. So when you start teaching them to tell time, it can be a really hard concept for them to grasp. We keep telling time really simple… Continue reading Teaching Time in Kindergarten with a Poster Freebie! April 27, 2018 April 27, 2018 Amanda B.
December 15, 2017 December 15, 2017 Amanda B.